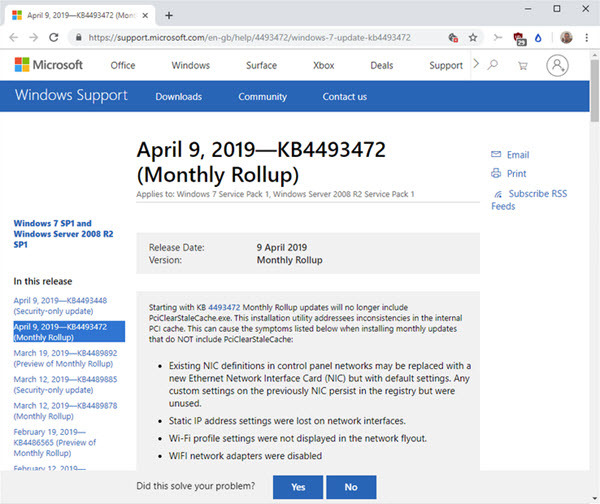 On Tuesday, Microsoft deployed a series of patches for all versions of Windows: this is more commonly known as the Tuesday Patch. Unfortunately, it seems that the update did not only do good, mainly on older versions of Windows. On the web, several witnesses reported problems after installing the patches on the Patch Tuesday. These problems would affect all versions of Windows except Windows 10 which is not affected. If you are using a computer running Windows 7, 8 or Server 2008 for example, we recommend that you do not install these updates. According to the feedback, updates cause instabilities depending on the antivirus installed. Sophos products would be affected by the problem: the publisher recommends starting computers in safe mode, disabling the antivirus and then restarting the computer. Avast reports a similar situation: machines equipped with Avast for Business or Avast Cloud Care may crash during or after starting Windows. Microsoft has not yet reacted to this problem. Remember that it is strongly recommended to create a backup point before installing each update so that you can go back in case of a problem.